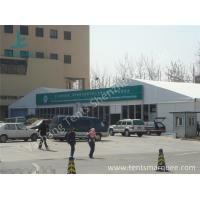 The 6m wide custom-made outdoor event canopy consists of a maintenance free high strength aluminum frame, coloured roof top fabric, tent fabric window walls, clear glass door and walls. 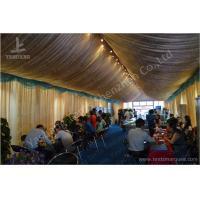 In terms of interior space, we need to highlight that the small aluminum structure event tent is fully decorated with roof lining, wall lining, wall wave valance etc. 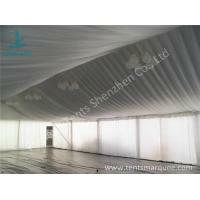 What's more, our team of know-how are able to design and produce the tent according to your idea: what aluminium profile to use, what interior decoration to have, and what fixation method to configure and so on. 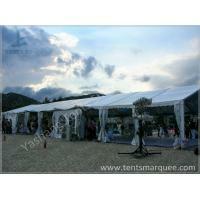 Almost all tent projects we've made for our customers are custom made. 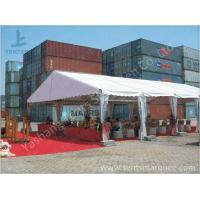 A customer always has his individual requirement for the specific application. 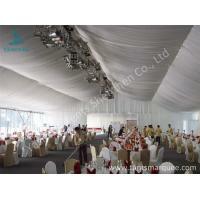 For example, he may prefer different fabric colours, side height requirements, wall and door options, and fixed solutions etc. 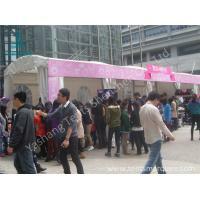 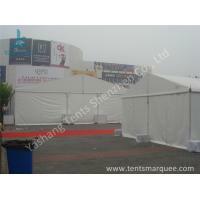 The sidewall material of our standard tent is PVC fabric, just like the picture below. 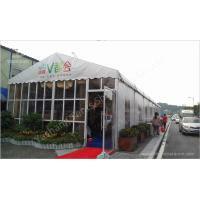 In this project, our customer chooses the transparent glass wall, which is more luxury than that of the PVC fabric. 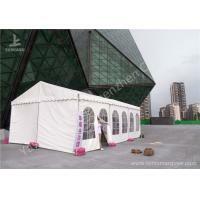 In most cases, our customers configure the fully decorated event marquee with roof lining only, but without sidewall lining and wave valance, because they need to open fabric sidewall frequently as entrance from all sides. 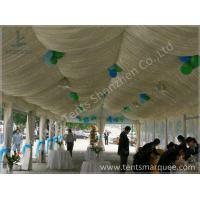 As for the roof lining, there are many colours to select, but it all depends on the preference of customers and the theme of the event or party. 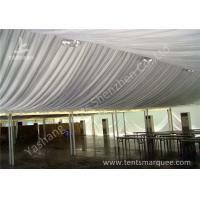 At Yashang, quality and safety always come first. 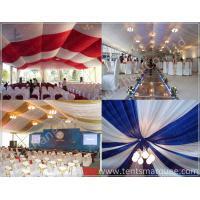 We always focus on your individual needs and provide portable modular tent building solution with the latest advanced technology and the superior materials to gurantee the highest level of quality, reliability and durability in temporary structure constructions. 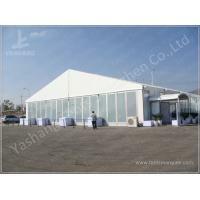 Drawing on more than 12 years' rich experience and great experitse in designing and manufacturing aluminum tents, Yashang tents are made in China with quality performance materials. 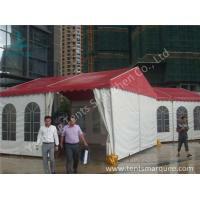 We always deserve your trust and immediate purchase. 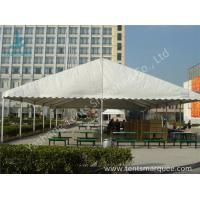 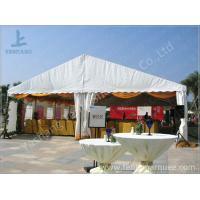 Contact us now to see the tent pattern tailor-made for your unique tent project.